(SAVANNAH) – Lee’a Proffitt, Ph.D., has joined Celia Dunn Sotheby’s International Realty as a sales associate focusing on the coastal Georgia area of Liberty, Long and Bryan counties, including Midway and Hinesville. Proffitt has nine years of residential and commercial experience in coastal Georgia real estate and the real estate markets in Austin, Texas and South Beach in Miami. A Ludowici resident for 12 years, she spent summers here all her life with her family and is very well-versed in the area and its many neighborhoods. Proffitt co-authored an ARELLO online course for real estate professionals. Currently a fifth-grade teacher for Liberty Elementary School, she has nine years of experience teaching kindergarten through fifth grade and 14 years experience as a college adjunct instructor. She finds that work experience has honed her patience, her organizational skills and her ability to be clear and concise and follow a time schedule in a pleasant manner. She was also assistant director of Brewton-Parker College. Proffitt earned a Ph.D. in higher education and leadership from Capella University and a master’s degree in instructional development and design from Central Michigan University. She has a bachelor’s degree in English and literature from Armstrong Atlantic State University and a bachelor’s in early childhood education from Brewton-Parker College. She also holds an associate’s degree in English communication from University of Rio Grande..
Proffitt lives with her family in Ludowici and attends Elin Baptist Church. She also teaches at-risk children and tutors them free of charge. mortgage advice from a banker, at a free seminar Thursday, Oct. 14.
help you make a more informed decision on your home purchase. Find out what to think about as you purchase your home, and also learn the benefits and pitfalls of short sales and foreclosures from Celia Dunn Sotheby’s International Realty’s Sales Manager Marion Callaway. Understand the closing process and how to check your mortgage papers before you sign, as attorney Doug McManamy explains the fundamentals of a real estate contract. understandable, and more likely to give you exactly what you want. Distributed weekly on the CarriageTradePR Local NewsWIRE™ to the local media. (SAVANNAH, GA) The Savannah Book Festival hosted NewYorkTimes-bestselling mystery writer Stuart Woods. (SAVANNAH, GA) Gulf oil spill to be focus of Skidaway Institute lecture is the next program in the Skidaway Institute of Oceanography 2010 Fall Lecture Series, "Crystal Ball: Changes Afoot for Our Oceans and Coast in the 21st Century." The program will be presented on Monday, September 27, at 7 p.m. at the Jewish Educational Alliance (JEA) on Abercorn Street. The same program will be repeated on Thursday, September 30, also at 7 p.m., in the McGowen Library Auditorium on the Skidaway Institute campus. Admission will be $5, but free for members of the Skidaway Marine Science Foundation, The Learning Center and for students. For additional information, visit www.skio.usg.edu. (SAVANNAH, GA) FastTrac® Growth Venture Program. Starts September 28 – November 2. Cost $895. Call the University of Georgia Small Business Development Center 912-651-3200 or www.georgiasbdc.org/growthventure. SAVANNAH, GA) The Leukemia & Lymphoma Society’s Light The Night walk will be held Friday, October 15th in Forsyth Park. For more information contact Jean Doliber at 912.897.1300. To register for the walk, go to www.lls.org/ga. include: Ocean experts, major corporations, representation from major universities and the federal government. In October the Savannah Ocean Exchange will officially send out the global Call for the submissions of solutions. Viewings · Events and Excursions, through the Savannah Ocean Exchange Public Outreach and Education. Vice Admiral U.S. Navy and NOAA (RET.) – Conrad C. Lautenbacher Jr.
Emory University, Director of the Emory Center for Ethics-Paul Root Wolpe PhD. · The Theme for the 2011 Savannah Ocean Exchange Conference. · A Press Conference on Wednesday, September 22, 2010 at 6PM. · Dinner to meet and talk informally with the Savannah Ocean Exchange Executive Team and Board of Governors, Dinner starts at 6:45 PM. Where: Savannah International Trade and Convention Center, lower level on the east end. RSVP to Cathy Sakas 912-660-7164 cathy.sakas@savannahoceanexchange.org. Note: The Savannah Ocean Exchange Board of Governors consists of global thought leaders from diverse discipline to include: Ocean experts, major corporations, representation from major universities and the federal government. The overarching focus of Savannah Ocean Exchange is Our Ocean – the global system that connects everything: environment, economies and health. Each year the Board of Governors set the four challenges for the next year’s conference and initiates a search for best-in-class proven solutions to these Ocean-related challenges. At the annual conference the 40 best proven solutions are showcased. Contact for more information: Cathy Sakas, Co-Founder and Chair Organizing Committee 912-660-7164.
appointed to the Georgia Southern University College of Science and Technology (COST) Advisory Board. The University has the largest Construction Management Program in the State and Approximately 180 faculty serve over 2200 undergraduate and graduate students throughout all departments. the State, and are shifting their programs towards being sustainability-focused, including featuring a Center for Sustainability. consulting firm that focuses on providing triple bottom line solutions to a diverse range of clients both locally and nationwide. Trident provides hands on guidance on green building design and construction and offers extensive development-based expertise to help clients achieve LEED certification for their projects. Trident also provides institutional sustainability services to organizations, from nonprofit and small business to municipalities and government agencies looking to decrease energy and water consumption, improve indoor air quality, and reduce their environmental footprint. (SAVANNAH, GA) Bouhan, Williams & Levy, LLP is pleased to announce its selection for inclusion in the 2010 U.S. News & World Report’s Best Law Firms Rankings. Bouhan Williams & Levy, LLP was selected in Savannah for the categories of Admiralty and Maritime Law, General Commercial Litigation, Personal Injury Litigation and Corporate Law. "Bouhan, Williams & Levy is honored to be included in U.S. News and World Report’s Best Law Firm Rankings. We strive to provide our clients with outstanding legal representation and view this honor as a recognition of this" say Carlton Joyce, a parter with the firm. Headquartered in the Armstrong House at 447 Bull Street, Bouhan, Williams & Levy, LLP is among Savannah’s oldest law firms. They can be reached at http://www.bouhan.com 912-236-2491. (SAVANNAH, GA September 13, 2010) – The Savannah Ocean Exchange Launches 10 Days of Ocean Lectures, Ocean Art, Ocean Cooking, Ocean Films, Ocean Story Tellers, Ocean Water Sports, Ocean Vessels, Ocean Music, Ocean Boat Building for Kids, Ocean Lighthouses, etc. September 17- 26, 2010. This is a global event here in Savannah, Georgia. The world is invited. During the annual Savannah Ocean Exchange this September, vessels of all types will move up and down the Savannah River. At any time of day or night Ocean-going ships and working port vessels can be seen from River Street. Musicians, Film Producers, Lecturers and Story Tellers from near and far share their Ocean-inspired talents. Local Chefs showcase superb Savannah Coastal Cuisine in their own restaurants. Coastal Forts, Aquariums, Education Centers and Lighthouses offer special programs. Knowledgeable Naturalists and Professional Guides help the adventurous explore the ways Ocean, Land and Man interconnect while cruising, kayaking, diving, sailing, birding and in almost every water sport available. “Savannah Ocean Exchange invites all to renew body, soul and mind by experiencing our Coast and Ocean in familiar and new ways. Inspirational passions, creative accomplishments and achievable solutions are showcased. Connections are made while celebrating Coast and Ocean. We encourage you to stretch your muscles, expand your mind and feed your body and soul’ says Cathy Sakas, a founder of the Savannah Ocean Exchange. Performances & Presentations: Gray’s Reef Ocean Film Festival • Location: Trustees Theater – 216 East Broughton Street. NOAA Gray’s Reef National Marine Sanctuary offers Ocean films and documentaries for the general public and for children. Although admission is free, you must secure tickets from the Trustees Theater box office either in advance or just prior to a showing. For a complete list of offerings, please visit: http://graysreef.noaa.gov/news/events/film_festival_2010/welcome.html. For more information about Gray’s Reef Ocean Film Festival, please call 912.598.2345 or visit http://graysreef.noaa.gov/. Performances & Presentations: Sea Chanteys • Location: Ships of the Sea Museum – 41 Martin Luther King Junior Boulevard. Art Rosenbaum and Around the Globe Sea Chantey Singers perform a concert of traditional tunes and sea chanteys, many collected from around Georgia and southern ports. Admission is free and the event will be held under the tent in the Ships of the Sea garden. For more information about Art Rosenbaum, please visit http://www.artrosenbaum.org/musician.html. For more information about Ships of the Sea Museum, please call 912.232.1511 or visit http://shipsofthesea.org/. Excursions & Events: Pond Yacht Build and Regatta • Location: Ships of the Sea Museum – 41 Martin Luther King Junior Boulevard. The first annual Pond Yacht Build and Regatta for kids and adults is offered where participants build their choice of wooden sailing ship and float them in a provided water trough. A fee of $10.00 includes a kit and two free Museum admissions. Call Karl DeVries at 912.232.1511 for information and to pre-register. For more information on Ships of the Sea Museum, please visit http://shipsofthesea.org/. Performances & Presentations: Dolphins of the Southeastern USA • Location: Jepson Center – 207 West York Street. Tara M. Cox, Ph.D., Assistant Professor of Marine Sciences at Savannah State University will give a presentation on her ongoing research on our playful dolphins of the southeastern USA and in particular those in trouble in the waters near Brunswick, Georgia. Admission is free. For more information on the presentation, please contact Dr. Cox at coxt@savannahstate.edu. For more information on the Jepson Center for the Arts, please call 912.798.8800 or visit http://telfair.org/visit/jepson-center/overview/. Bio: Dr. Cox’ expertise is in large marine vertebrate spatial ecology and conservation and her main areas of interest are marine mammal biology, human interactions with large marine vertebrates, policy and management. Her current projects include studies on the foraging ecology and begging behavior of bottlenose dolphins as well as photo- identification. Additionally she is working on a global assessment of by-catch of marine mammals, sea turtles, and seabirds; seasonal and individual movements of bottlenose dolphins in Georgia; and bacterial community composition in dolphin tissues. Most of her work takes place in Wassaw Sound and the Savannah River Estuary. Performances & Presentations: North Atlantic Right Whales • Location: Jepson Center – 207 West York Street. Clay George is Georgia Department of Natural Resources Nongame Conservation Section wildlife biologist who conducts research on right whales and manatees. His presentation will focus on the natural history and population status of and conservation efforts for the most endangered great whale in the world, the North Atlantic right whale. Admission is free. For more information about GDNR Coastal Resources Division, please call 912.264.7218 or visit http://crd.dnr.state.ga.us/. For more information on the Jepson Center for the Arts, please call 912.798.8800 or visit http://telfair.org/visit/jepson-center/overview/. Bio: Clay George is a wildlife biologist with the Georgia Department of Natural Resources Nongame Conservation Section. Since 2004 Clay has coordinated the DNR’s marine mammal conservation program, which includes coordinating the Georgia Marine Mammal Stranding Network and conducting research on right whales and manatees. Clay lives in Brunswick, GA with his wife Jenn and their 5-year-old daughter Laney. Performances & Presentations: The Venerable Shark • Location: Jepson Center – 207 West York Street. Matthew R. Gilligan, Ph.D., Professor and Coordinator of Marine Sciences at Savannah State University, will give an overview of the amazing, awe-inspiring sharks that ply our waters off the Georgia coast and the southeastern seaboard. His presentation is based on the natural history, life history and ecology of sharks. Information for his presentation is included in the Ichthyology course that he has taught at Savannah State University for the past 30 years and from his lifelong experiences with sharks. Admission is free. For more information on the presentation, please contact Dr. Gilligan at gilliganm@savannahstate.edu. For more information on the Jepson Center for the Arts, please call 912.798.8800 or visit http://telfair.org/visit/jepson-center/overview/. Bio: Matthew R. Gilligan, Ph.D. is professor and coordinator of marine sciences at Savannah State University (SSU) in Savannah, Georgia. He earned a B.A. degree in Biology from Hartwick College in Oneonta, New York and Ph.D. degree in Ecology and Evolutionary Biology from the University of Arizona. He was the Board of Regents 2001-2002 Distinguished Professor at SSU, is a member of the Education Sub-panel of the Ocean Research and Resources Advisory Panel, and chairs the Education Committee of the National and Southern Associations of Marine Laboratories. He has also served on and chaired the NOAA Gray’s Reef National Marine Sanctuary Advisory Panel. Performances & Presentations: Story Telling • Location: Ships of the Sea Museum – 41 Martin Luther King Junior Boulevard. Spellbinding J’miah Nabawi, teaching/performing artist and national award-winning professional storyteller, will perform Ocean-inspired stories that delight old and young alike. Admission is free and the event will be held under the tent in Ships of the Sea garden. For more information on J’miah Nabawi, please visit http://www.southernartistry.org/jmiah_nabawi or call 912.655.7788. For more information on Ships of the Sea Museum, please call 912.232.1511 or visit http://shipsofthesea.org/. Performances & Presentations: Sea Chanteys • Location: Ships of the Sea Museum – 41 Martin Luther King Junior Boulevard. The Savannah Ceili Band will perform a concert of traditional tunes and sea chanteys collected from around our great country and the globe. Admission is free and the event will be held under the tent in Ships of the Sea garden. For more information on Savannah Ceili Band, please visit http://www.myspace.com/savannahceiliband1. For more information on Ships of the Sea Museum, please call 912.232.1511 or visit http://shipsofthesea.org/ . Excursions & Events: Boatbuilding-from-Kit Weekend • Location: Ships of the Sea Museum – 41 Martin Luther King Junior Boulevard. The second annual two-day Boatbuilding-from-Kit Weekend offers the opportunity to build a 12’ Bevin’s skiff and launch it on Sunday. Minimal woodworking skills are required. Cost: $40/adult or per adult and one child. Pre-registration is required. For more information and to register, please call Karl DeVries at 912.232.1511 or visit http://shipsofthesea.org/. Excursions & Events: Field Excursions • Location: Participating Organizations in Savannah and Coastal Area – Various Addresses. Field Excursion Vendors offer kayaking, canoeing, fishing, cruising, birding scuba diving, photography and many more Ocean and Coast activities. For a current list of participating organizations, please visit savannahvisit.com/event/172. Culture & Cuisine: Savannah Coastal Cuisine • Location: Participating Restaurants in Savannah and Coastal Area – Various Addresses. Local area Chef’s offer their best Ocean inspired Savannah Coastal Cuisine featuring Georgia wild caught shrimp for special prices during Savannah Ocean Experience. For a current list of participating restaurants, please visit savannahvisit.com/event/172. Culture & Cuisine: Education Opportunities • Location: Participating Organizations in Savannah and Coastal Area – Various Addresses Coastal area Forts, Lighthouses, Aquariums and Education Centers offer special programs during Savannah Ocean Experience. For a current list of participating organizations, please visit savannahvisit.com/event/172. Vessels & Venues: International Flag Ships • Location: River Street along the Savannah River. Ocean-going ships and port vessels move up and down the Savannah River all day and all night. View these massive Bulkers, Freighters, Tankers and Cargo Ships sailing under many different international flags as well as our local hard-working port vessels as they make way connecting Savannah to other ports all over our Planet Ocean. Best views are along River Street. (SAVANNAH, GA) Lynn Gensamer, Executive Director of the Humane Society for Greater Savannah, will be the guest speaker at the Exchange Club of Savannah’s weekly luncheon on Monday, November 1 at noon. Gensamer’s presentation will focus on animal welfare in the Savannah community. Approximately 100 people, including local lawyers, judges, accountants, investment professionals, sales and management professionals, and retirees, are expected to attend. The Exchange Club of Savannah meets every Monday at the Coastal Empire Fairgrounds at 4801 Meding Street in Savannah. Lunch is served at noon, and the program begins promptly at 12:30 p.m. Non-members may attend but seating is limited. To RSVP, please contact Tim Beers at Tim.Beers@edwardjones.com. For more information on the Exchange Club, please visit www.savannahexchange.org. (SAVANNAH, GA) First Choice Wellness Celebrates 7 Years in Business. First Choice Wellness is the first and only multi-discipline clinic in the Savannah area having a Chiropractic Physician and a Medical Physician on staff, offering the patient the benefits of both medical and chiropractic care. 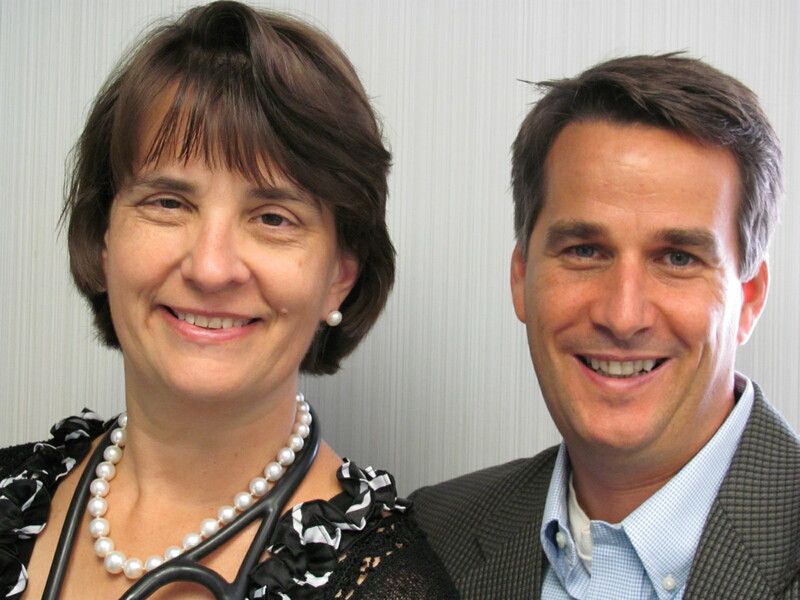 Dr. Sandra Bohnstengle, MD is a board certified Family Medicine. She attended Marshall University School of Medicine, she is from Savannah. Dr. David Davies, DC is a board certified Chiropractor from Life Chiropractic University and grew up in Michigan. These doctors are dedicated to solving your health problems, not just prescribing medication to block pain and mask symptoms.